Marvel’s highly anticipated movie – Avengers: Infinity War opens in Australian cinemas today, Wednesday, April 25th. The release is contrary to traditional movie releases in Australia; which typically fall on a Thursday. However, the release date was changed because the release would have coincided with Anzac Day. The movie is the follow up to Avengers: Age of Ultron and stars a record-breaking number of superheroes and villains. 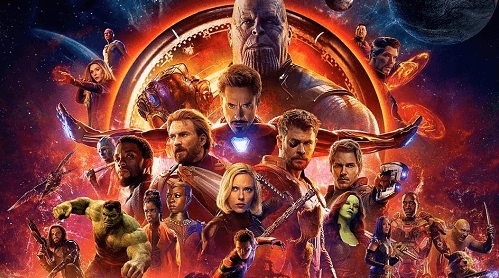 Original Avengers cast members reprise their roles in the new movie, and they are joined by other Marvel Cinematic Universe superheroes. While there’s no denying the eagerness to watch this movie, some fans are only queuing to watch fellow Aussie, Chris Hemsworth. To be honest, we’re also looking forward to seeing him, because let’s face it after winning multiple sexiest male actor awards – who wouldn’t! Hemsworth and his family moved back to Australia in 2015; but, we still enjoy watching him on screen. The trailer alone broke the internet’s record of the most viewed trailer in its first 24 hours. It would seem like the bigger, the better recipe has worked. However, movie critics disagree with some claiming the movie fails to deliver on drama; others stating that it’s a ‘celebration of mediocrity’. Further criticism suggested that Infinity War isn’t a movie; but its rather brand management and advertising on an extraordinary scale. Given the anticipation and the success of the trailer, could an Infinity War themed online pokie be next? Pending the success of the movie, we might or might not get to enjoy an Avengers: Infinity War online pokie. Currently, mega casino games software provider, Playtech owns the rights to the Marvel pokies. If the movie executives decide to convert the movie into a slot, we know that Playtech will do justice to the casino game. Keep it locked to our blog page for more information.